A top Cheong Wa Dae official on Wednesday criticized the Japanese government’s response to a recent South Korean court ruling, saying that actions taken by Tokyo officials are aggravating the situation. Since the Supreme Court ruled in favor of Korean plaintiffs seeking compensation from Japan’s Nippon Steel & Sumitomo Metal, which had forced them to work for the company during the Japanese occupation of Korea, Tokyo has vehemently criticized the ruling and is pressing Seoul to take action. “The situation is that the government must organize its response. That takes time,” a Cheong Wa Dae official said, saying the Supreme Court’s ruling differs from the government’s stance. 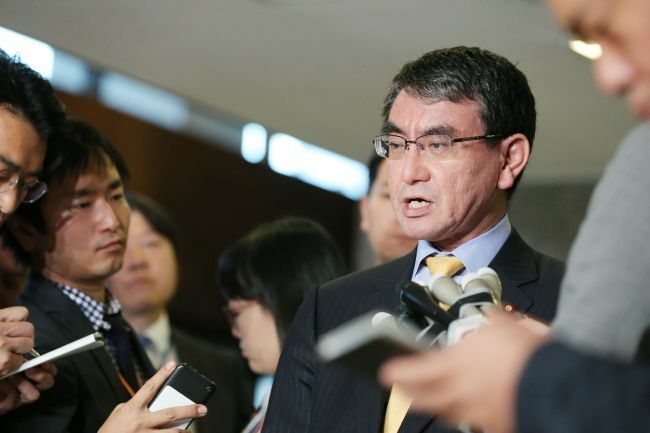 Japan’s criticism of the ruling has escalated, led by Japanese Foreign Minister Taro Kono. Since the ruling, Kono has called the ruling “a challenge against international society” and said Seoul is responsible for any compensation, also accusing Korea of being difficult to work with. The issue appears to be interfering with summit-level communications between the two countries. While both President Moon Jae-in and Japanese Prime Minister Shinzo Abe will be attending ASEAN and APEC meetings in Singapore and Papua New Guinea next week, the two sides are said to have no plans to arrange a summit. According to reports, a Japanese Foreign Ministry official said a summit would be “meaningless” as long as the Korean government had yet to declare its stance on the ruling. Seoul’s presidential office, meanwhile, declined to elaborate on the matter, saying only that such a meeting would be difficult under the current circumstances. Wednesday’s comments from Cheong Wa Dae follow warnings from Seoul’s Ministry of Foreign Affairs and National Security Office chief Chung Eui-yong that Tokyo’s actions could damage bilateral relations. Speaking at the parliamentary audit of the presidential office on Tuesday, Chung said Seoul “cannot but take corresponding measures should the Japanese government take hardline steps” in response to the ruling. Also at the audit, presidential chief of staff Im Jong-seok said the Japanese government’s response was “very inappropriate and regrettable” and that the Prime Minister’s Office had convened a task force to review the matter.